One of our customers has 8 Candy Cabinets available and is looking for a quick sale. 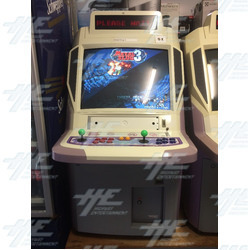 Cabinets available include Net City and Cyber Lead with games such as Metal Slug 3, Street Fighter 2, Tekken 4 and Point Blank, to name a few. All 8 machines come with a game board and are in working condition, some have slight faults such as missing keys or coin mech issues. All issues can be easily resolved and are a quick fix. Machines are sold as is, and freight is not included in price. All machines are available for $550 each plus freight costs. These machines are perfect for any games room, man-cave, family room or commercial location. Please note that this customer and their machines are located in Northern QLD.